Our GIANT mealworms are created for fishing. We raise our giants in a different manner than our regular mealworms and DO NOT advise using them for feeding reptiles or birds. Shipping is included in our price! I think you will like these guys. Please also take some time to check out our other bait products. Thank you for stopping in. 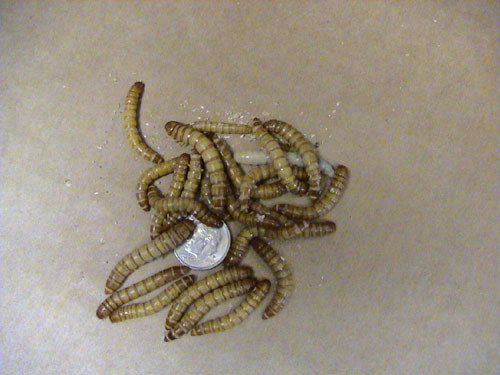 Want to see how our Giant Mealworm are made? We have a blog post for you that shows the process. These are great for bait!! Shipped via USPS Priority Mail.